We have one more contributor to add to the list (which I posted back HERE). Her name is Ashley Jones and she is donating her commission from her Stella and Dot sales up until January 10th. To see the great stuff you can order there click HERE. There is still time to get something from there before Christmas if you order by 11:00 today. I know that's not a lot of time, but hey, might help someone get the perfect gift before the big day. It will also be open for after Christmas shopping too so that's a good thing. 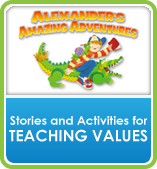 Remember the Alexander's Amazing Adventures are still available at that special price until the end of December. If you're looking for a great and exciting way to entertain kids and teach them great stuff at the same time, you've found your gift :). Plus it's digital so you can get it in time for Christmas. Click HERE for ordering information and remember when you buy a chunk of the proceeds go to help BBS kids. I mentioned that one very kind blog reader was planning on doing a BBS article. He sent it to me last week and it explains BBS better than I can! He did such a great job! Go read it HERE or you can listen to it HERE. Thank you so much, Lee!! The grand vision for making Lucy's art into cards is on the back-burner for now...too much going on! But hopefully some day we will get something going on that. I'm off to see if I can get some more stuff on Amazon before Christmas rolls around. I bought my first Christmas gift today. Yeah, I'm a little behind!